Welcome to our avian page, birds of all kinds are here. Below is a small slideshow of some of our work. If you want to see more, then please visit our full gallery below. Fantastic collection, great album !! Wonderful work !! I am very impressed by your collection! Well done!! What a wonderful gallery is this. Great work!!! Beautiful gallery! I enjoy viewing your images. Very nice and diversified collection and of birds pictures. Very beautiful and inspiring gallery! Great work. All the appropriate adjectives have been used. I'm an instant fan of your work. Very nice gallery, Rob! I enjoyed viewing your work! Wonderful gallery of many splendid bird images! I love your gallery and would like to purchase this in a book so I can send to my aunt. Great gallerie.Nice collection bird shots. VERY VERY NICE PICTURES , VERY NICE PLACE FOR BIRD SHOT ....... YOU ALL ARE SO LUCKY !!!!!!!! overall accomplishment of quality and diversity. All I can say is outstanding work! Amazing pictures in this gallery. Congratulations! Very nice display of images, Rob. I enjoyed viewing them. Beautiful work! I really like the Bluebirds. What a wonderful gallery is this. Great work. Rob, Some amazing images you have here. 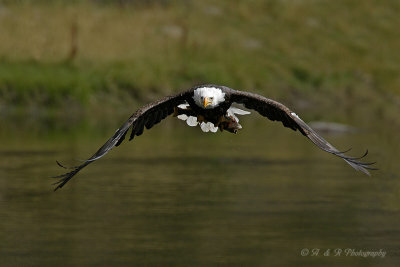 Good to meet you yesterday, it's too bad the eagles & weather weren't more cooperative. Some nice work here Rob & Amy! Thanks for sharing this collection of images. Beautiful body of work in this gallery. Keep up the good work. Stupendous and admirable work ! A treat to see all along your wonderful galleries. Many outstanding captures here, very fine work. Stunning gallery... thanks for sharing! Voted. Superb pics...Enjoyed every one. I have just begun to take shots of birds here in Florida as I just have moved here. Know how hard it is to get good shots ! Love the composition, colours and timing. Beautiful and well captured images. Great work indeed. Impressive birds gallery Rob. Congratulations. Great job Rob. Congratulations for all your photos!! Wonderful gallery full of interesting and stunning photographs. Thankyou for sharing them with us, I will return regularly. There are so many excellent and carefully composed birdshots in this extended gallery. Viewing them is a real pleasure. Thanks for sharing these beauties. This is by far the BEST gallery I have ever seen. Wonderful flight & action shots. Great gallery. ~Voted. A stunning collection of top work. Thanks for sharing. E X C E L L E N T J O B! Love it Rob. Hope to see more and more! Beautiful work guys, you are an inspiration to my own wildlife photography. Simply amazing photos. After voting for several photos I just Voted for the whole gallery. Good gallery with some great Images. You really have a nice collection of some quality images!!! such a BRILLIANTLY gorgeous and rich and devoted gallery of images!!!!!! Beautiful images with amazing variety. I appreciate that you identified the birds. Voted. Very amazing gallery. My favorite type of photography is shooting birds. Your gallery is inspirational. Very Beautiful. Great gallery. I like the quality and variety of images. Your birds gallerie is wonderful! Thank you for the nice comment on my Waxwing. Terrific collection of birds pics. I miss America. A beautiful gallery of Birds! All composed and photographed very well. Congrats!! nice collection of birdpics. what kind of tele-lens do you use? Thanks very much for taking the time to look at my gallery. You've got some stunning images here, I'm very impressed. Thanks for looking at my images Rob. Still busy looking, but so far your galleries are great.